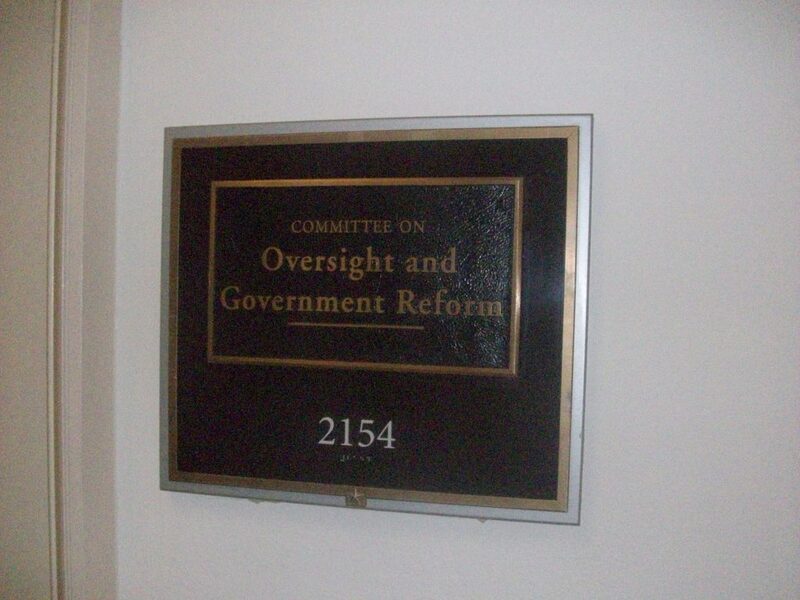 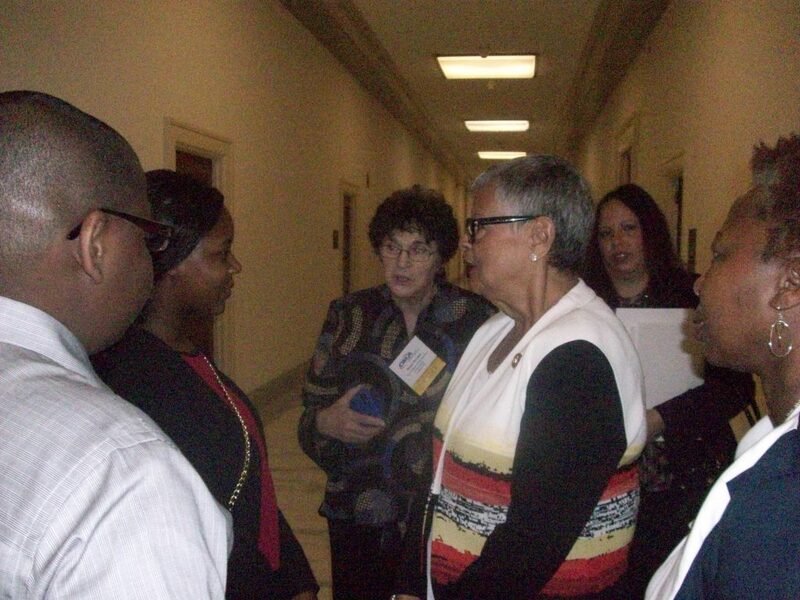 US House of Representatives Committee where Trenton students heard Congresswoman Watson Coleman testify. 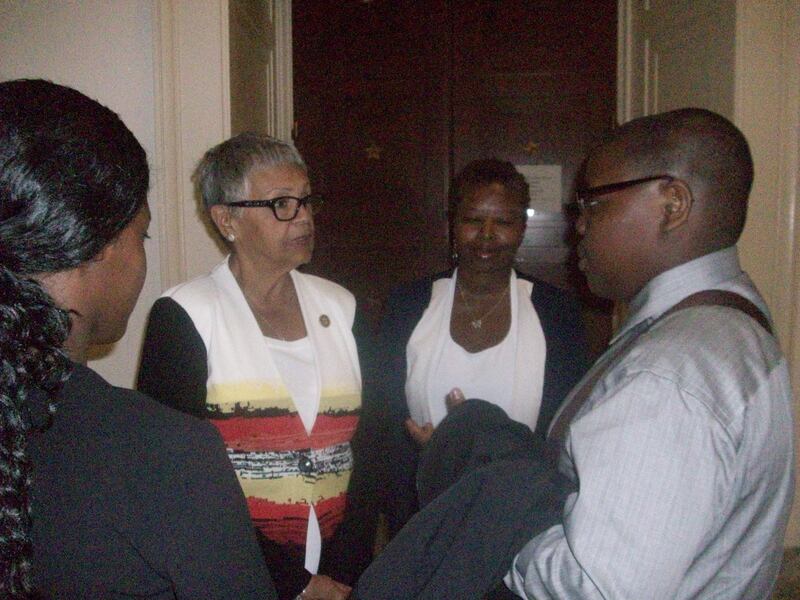 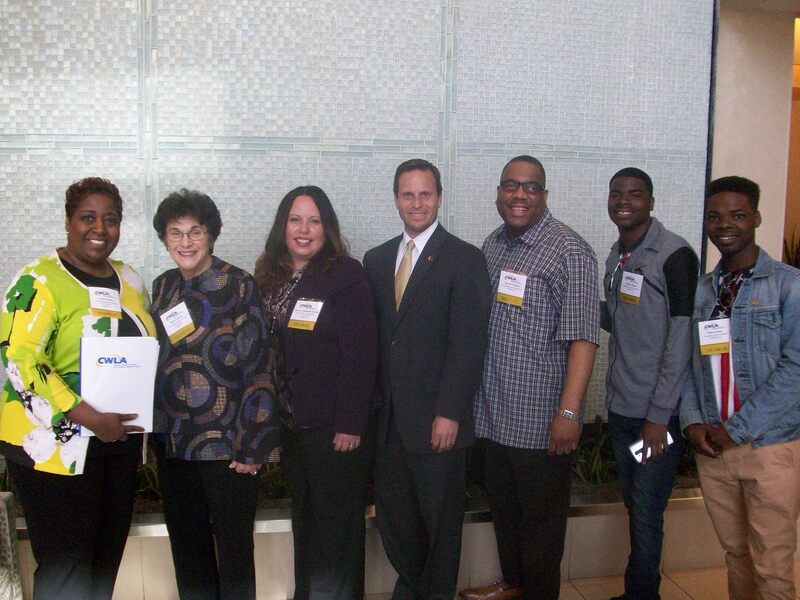 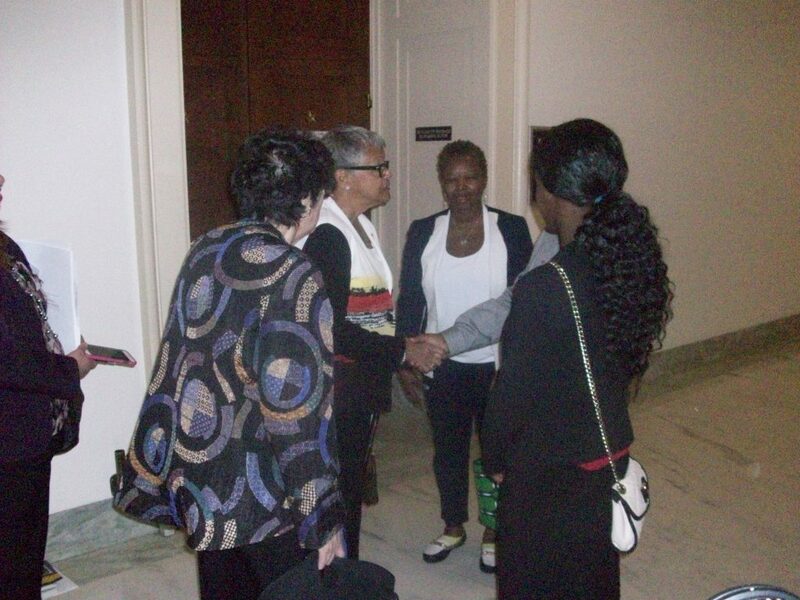 Trenton Student Orion Douglas shaking hands with Congresswoman Watson Coleman (NJ-12) while CHSofNJ representatives look on. 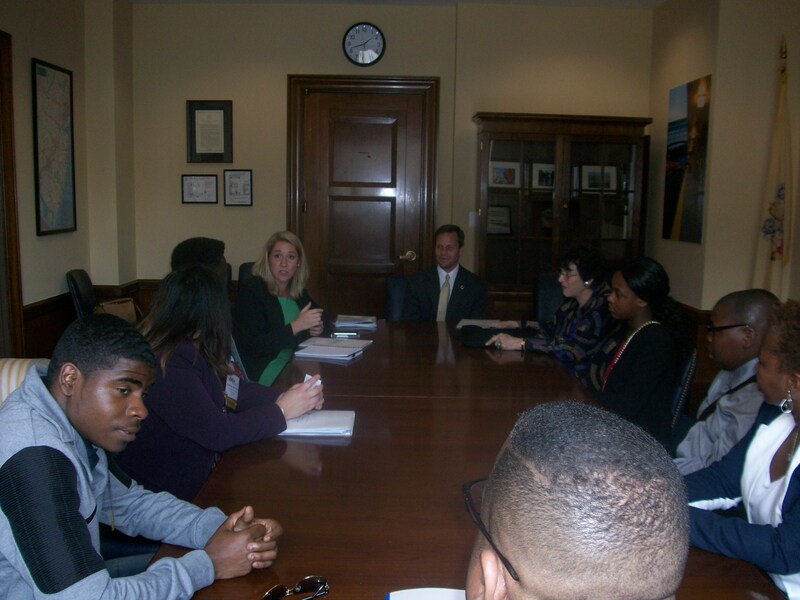 CHSofNJ representatives and Trenton students prepare for a meeting with Congresswoman Watson Coleman’s Legislative staff. 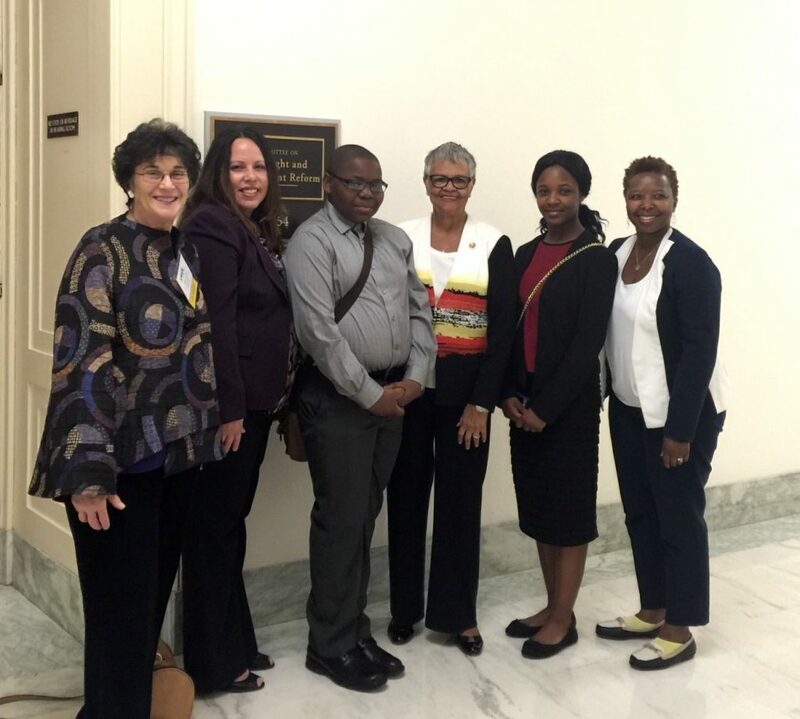 CHSofNJ Leadership with other social service leaders from New Jersey attending the Child Welfare League of America’s (CWLA) Advocacy Summit which included visits to Capitol Hill on important policy issues.” (L to R) CHSofNJ Trustee Cordelia Staton; CHSofNJ President & CEO Donna Pressma; CHSofNJ Director of Maternal and Child Health Services and Community Support Services Maritza Raimundi-Petroski; Robin’s Nest CEO Dr. Anthony DiFabio from Glassboro, New Jersey; Community Access Unlimited Supportive Housing Coordinator Howard Wingard from Elizabeth, New Jersey; and Barshay Stinson and Robert Brown, members of the Transitional Opportunities Program at Community Access Unlimited. 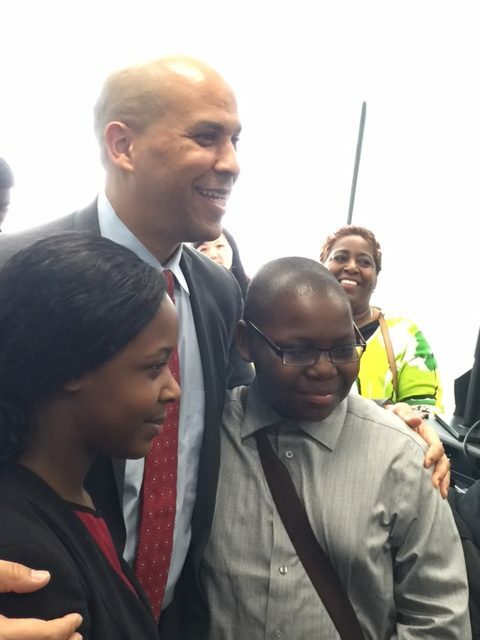 US Senator Cory Booker of New Jersey speaking to New Jersey social service leaders including CHSofNJ President and CEO Donna Pressma (on left). 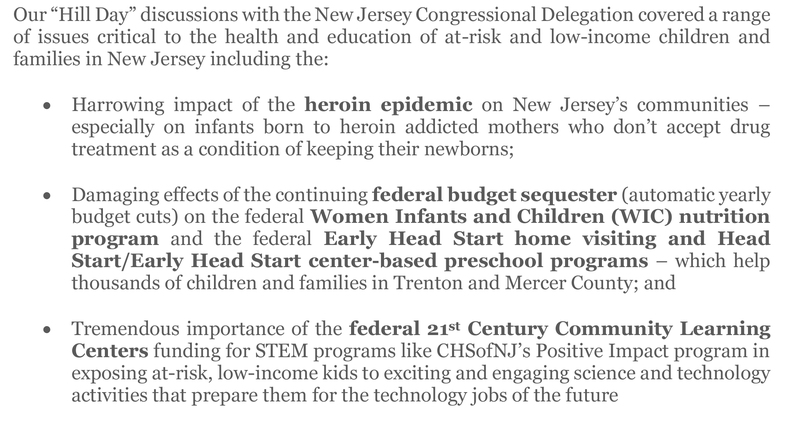 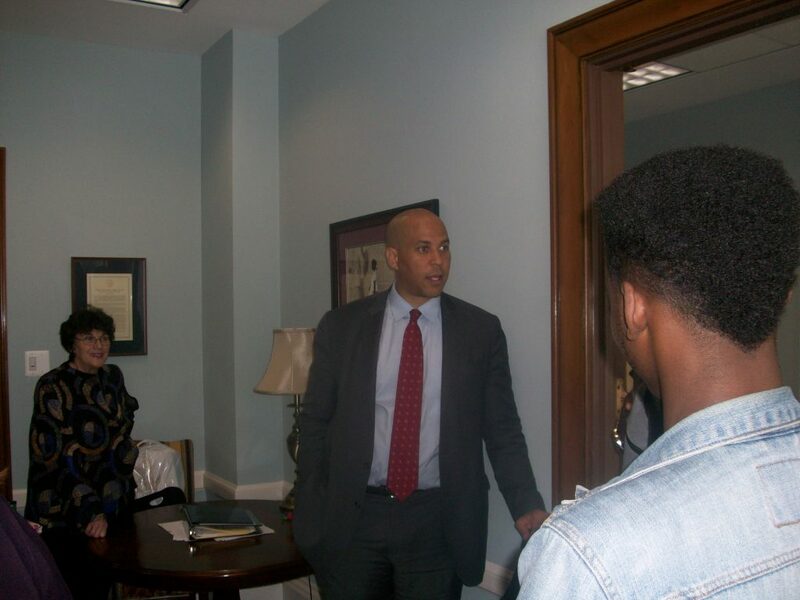 US Senator Cory Booker of New Jersey listening to Trenton Student Bryana Payne while CHSofNJ Director of Maternal and Child Health Services and Community Support Services Maritza Raimundi-Petroski looks on. 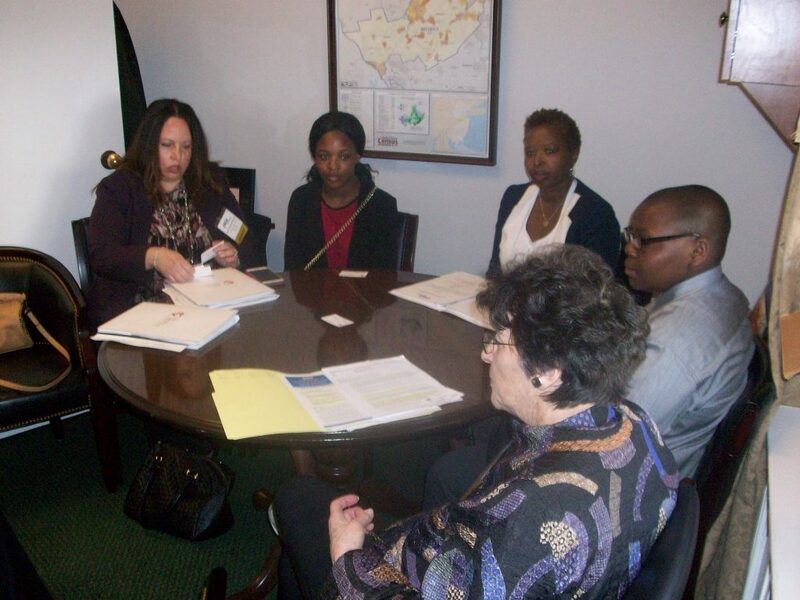 CHSofNJ, Robin’s Nest and Community Access Unlimited hold discussion with US Senator Cory Booker’s Senior Education and Health Policy Advisor, Ashley Eden (in green, left side). CHSofNJ leaders and Trenton students with Congresswoman Bonnie Watson Coleman (NJ-12) outside the House Committee where CHSofNJ heard the Congresswoman testify.” (L to R) CHSofNJ President and CEO Donna Pressma, CHSofNJ Director of Maternal and Child Health Services and Community Support Services Maritza Raimundi-Petroski, Student Orion Douglas, Congresswoman Bonnie Watson Coleman, Student Bryana Payne, and CHSofNJ 21st Century Community Learning Centers/Positive Impact Program Director Louise Shabazz. 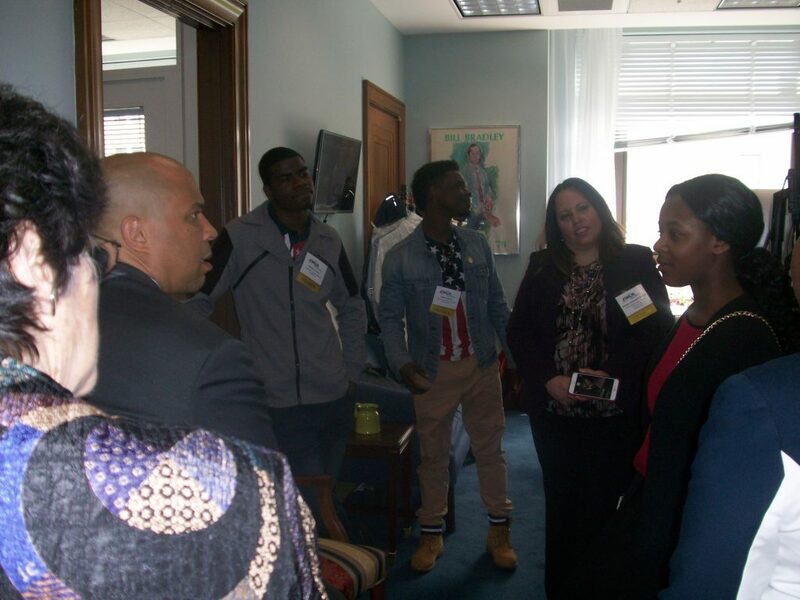 Trenton Students meet New Jersey Senator Corey Booker (L to R) Student Bryana Payne, New Jersey Senator Corey Booker, Student Orion Douglas,CHSofNJ Trustee Cordelia Staton. 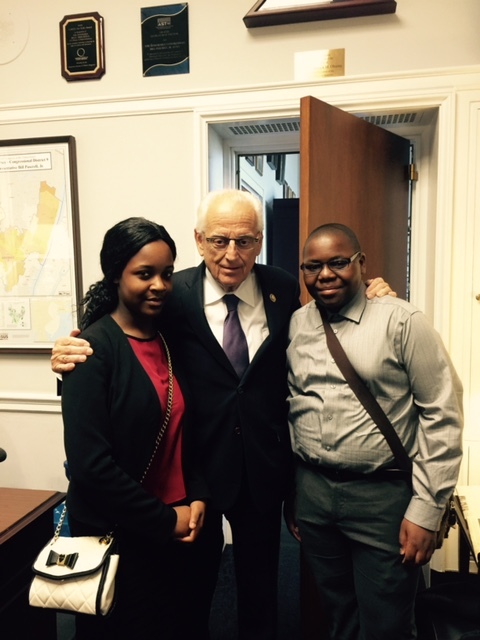 Trenton Students meet US Congressman Bill Pascrell” (L to R) Student Bryana Payne, Congressman Bill Pascrell, Student Orion Douglas.